We thank those who support us through financial donations as well as through the donation of resources, equipment and office supplies. We especially thank our volunteers who generously share their knowledge, expertise and time to support us in and around the classroom. 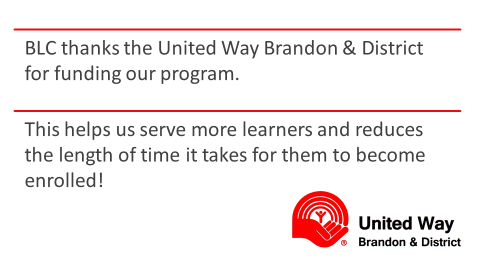 © 2019 Brandon Literacy Council Inc.